Maureen St. Germain’s —lifelong interest in the Akashic Records resulted in her being granted access to this dimension that has been off limits to most of humanity for millions of years. The Akashic Record is a treasury of your personal knowledge of the past, present, and future. As soon as your soul begins to experience life, a field of energy is created that records your every thought, word, action, desire and emotion. This field of energy is known as the Akashic Records, named your Book of Life by Edgar Cayce. By accessing this personal library of knowledge, you can identify, open or release anything that you have created or blocked through your life's experiences. A reading from Maureen will be powerful, enlightening, cleansing and inspiring. 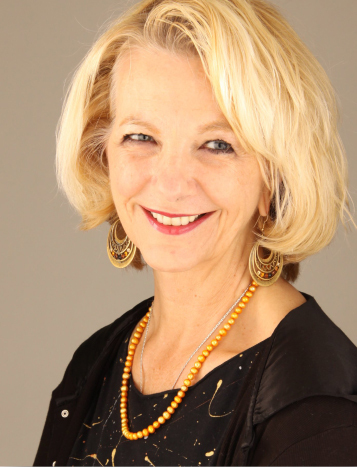 Maureen St. Germain is a natural intuitive and has been working with the Akashic Records sine 1996. She founded Akashic Records International as well as trains Akashic Records Guides. Maureen can assist you to access the wisdom of your own Record Keepers who can guide you and provide you with insights, direction and more. Known for her Amazon best-sellers, using Sacred Geometry, Beyond the Flower of Life and Be A Genie, she has been sharing knowledge she has gained from her years of research and meditation on ancient truths. Since 1995 she has traveled worldwide teaching through wisdom teachings and sacred practices. Labeled a modern day mystic in Famous Wisconsin Mystics, she has taught in 15 countries, as a transformational teacher, author, intuitive and Akashic Records Guide. Her books have been translated into Russian, Italian and Chinese. Insightful, compassionate, entertaining and funny her primary focus is developing tools to support individuals in their personal expansion and spiritual awakening through Trainings, Akashic Records, Sacred Journeys, guided meditation CDs, AroMandalas® essential oils aromatherapy and books.